In the days surrounding the presidential inauguration, people of all faiths, all over the country will gather together in prayer for Creation and a sustainable future for our children. Interfaith Power & Light is working with People’s Climate Movement, Franciscan Action Network, GreenFaith, and others to organize 100 vigils in the first 100 hours of the new administration. IPL aims to host 20-30 vigils between Jan 20th and Jan 24th. The incoming administration has nominated climate deniers and fossil fuel advocates to the cabinet and EPA, and indicated it will abandon important policies to curb emissions like the Clean Power Plan and the Paris agreement. By demonstrating that people of faith all over the country are concerned about the climate and speaking out publicly, we will pressure the new administration to moderate its positions and embolden members of Congress to champion a clean energy future and to recognize that leadership on climate is a moral imperative for our nation. If you are interested in attending a vigil we are starting to gather a list of events hosted by faith communities. You can view that list HERE. It will be updated as new events come in. Join the Holy Family Church Environmental Ministry and members for a showing of "Before the Flood" - a riveting account of the dramatic changes now occurring around the world due to climate change, as well as the actions we can take to prevent catastrophic disruption of life on our planet. Leonardo DiCaprio travels the globe speaking to scientists and world leaders about the biggest environmental challenge of our time. Inspired by women's energy for equality, diversity, and justice in many forms, women are marching all over the world in solidarity to stand up and strengthen action. Hundreds of thousands will march in Washington on Saturday. Find a Women's March near you and let your voice be heard. Join CIPL staff member, Allis Druffel, and Steering Committee member, Juana Torres in a bilingual presentation on Pope Francis' encyclical on ecology. Included will be a roundtable discussion on how faithful folks can implement the call of Pope Francis in their personal and church lives. On Thursday, January 26, 2017, the Watts & South LA Clean Air Community Forum will be held. It is co-sponsored by St. John's United Methodist Church, the Watts Neighborhood Council, My Generation Campaign of the Sierra Club, Physicians for Social Responsibility, Los Angeles Community Action Network, and Center for Biological Diversity. There will be an interactive discussion panel that will guide attendees into a community-led dialogue on our region's air quality and its impact on frontline communities like Watts and South LA. This event will be held soon before an important vote before the South Coast Air Quality Management District (AQMD) on the influential Air Quality Management Plan (AQMP) which will affect millions of lives from the Los Angeles, Riverside, Orange and San Bernandino Counties. On Thursday, January 26, come listen to Tom Steyer, founder of NextGen Climate and philanthropist, as he speaks about the financial and social challenges in facing climate change. Steyer is a business leader who believes we have a moral responsibility to give back and help ensure that every family shares the benefits of economic opportunity, education, and a healthy climate. Temple Isaiah, 10345 W. Pico Blvd., Los Angeles, 90064; phone (310) 277-2772. Labor Activist Steve Early documents how a largely non-white working class community of 110,000 people spawned a vibrant culture of resistance to corporate power after more than a century of political dominance by the Chevron Corporation. Richmond, California – long a proto-typical company town with one of the highest homicide rates per capita in the country, with deindustrialization, poverty, joblessness, substandard schools and housing, drug trafficking, street crime, gang violence and wild corruption in City Hall resulting in mismanagement and near bankruptcy – transformed itself over a decade into a progressive city via multi-faceted municipal reforms. These were led by labor and community activists, environmental justice campaigners, police reformers, and gay rights activists who formed the Richmond Progressive Alliance, “an unlikely group of Greens, Latinos, progressive Democrats, African Americans, and free spirits” who worked with incoming Mayor Gayle McLaughlin. Richmond became the largest U.S. city run by a Green mayor plus an ally of peasant farmers in Ecuador, which had also battled Chevron. STEVE EARLY has been an organizer, lawyer, union representative, and labor activist for the past forty-five years. He is the author of three other books, including Save Our Unions: Dispatches from a Movement in Distress. He has written for The Nation, Boston Globe, New York Times, Washington Post, Los Angeles Times, Newsday, The Wall Street Journal, Christian Science Monitor, USA Today and many other publications. He lives in Richmond, CA. GAYLE McLAUGHLIN, former mayor of Richmond, Ca., has served as the first corporate-free progressive officeholder on the Richmond City Counil, elected first as a councilmember in 2004, then as mayor in 2006 and re-elected in 2010; having termed out as lmayor, she was elected again to the City Council in 2014. As Mayor of Richmond, Gayle led the City in a progressive direction that kept city workers in jobs and city services in place even during the recession; held Chevron accountable in terms of reducing its pollution and paying an historic $114 million dollars in additional taxes; and reduced crime dramatically. She attributes her success in elected office to having an organization behind her (one she helped create) – the Richmond Progressive Alliance. ANDRES SOTO grew up in nearby San Pablo, raised on a diet of politics and grassroots activism, such as picketing grocery stores on behalf of the United Farm Workers. Following graduation from U.C. Berkeley, he worked for the City of Richmond helping low-income residents train for and find jobs. Long an organizer with Communities for a Better Environment, he has been involved in stopping various crude oil shipping by rail projects, blocking the coal shipping terminal at the Port of Oakland, working to establish refinery emissions caps, and helping under-served communities get the justice, services and respect they deserve. In addition, Andres is a performing musician, and he hosts a weekly show on KPFA Radio. Water Justice Leadership Awards, sponsored by Community Water Center, at Capitol Event Center, 1020 11th St, Sacramento. RSVP: http://www.communitywatercenter.org/wjla2017. Last October, five people in four states shut the valves on pipelines carrying tar sands oil. The “Valve Turners” say their actions are not only necessary but morally and legally justified to avoid the catastrophic harm caused to humanity by unprecedented climate disruption. They now face serious charges, up to decades in prison. Why did the Valve Turners take these actions and what is a correct moral response to the escalating crisis that will determine whether the climate will support life as we know it? The public is invited to this presentation to meet the Valve Turners and hear their stories. Climate change is heading out of control and there is a very small window of time left to rein it in. The Valve Turners are moral, caring people who have dedicated their lives to working on legal, incremental, reasonable methods for ameliorating climate change, but have now come to the conclusion that the unfolding climate cataclysm requires more. This action was carried out with serenity and resolve, and serious consideration of personal and ecological risks, knowing that sacrifice is necessary if civilization is to survive. For more information: shutitdown.today.org. Sponsored by 350 Sacramento. Cost: free (donation encouraged). RSVP at: www.350sacramento.org so organizers will know how many to expect. 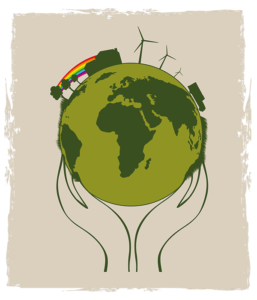 CIPL is affiliated with Green California, a network of over 100 organizations. All major faith traditions call on us to be faithful stewards of Creation, thus to protect the earth for our children and future generations. California Interfaith Power & Light is part of a national organization, Interfaith Power & Light, which has 18,000 member congregations in 40 states. It seeks to promote energy conservation, educate congregations on the theological basis for eco-stewardship, and assist them in implementing programs to reduce greenhouse gas emissions and become more energy efficient. We cordially invite you to the second annual Religion and Ecology Summit, hosted by the Ecology, Spirituality, and Religion (ESR) graduate program at the California Institute of Integral Studies (CIIS). This free one-day conference features dialogue between leaders of environmental organizations and practitioners, faculty, and students of Religious Studies, Philosophy, and Theology. Together, these scholar-practitioners will explore the transformational possibilities of incorporating ecological concerns into religious education and the integration of spiritual perspectives into environmental protection and activism. We look forward to the conference becoming a catalyst for scholarly growth for those involved in the field of Religion and Ecology, and professional development for those students and professionals in the Bay Area. Events of the day include opening and closing keynotes by Forum on Religion and Ecology at Yale co-founder Mary Evelyn Tucker and mathematical cosmologist (and ESR faculty member) Brian Thomas Swimme, as well as two panels: 1) Equity, Justice, & Climate Change and 2) Listening to the Land: Nonhuman Voices in the Ecozoic Era. Visit the Summit website for more information, including the draft of the schedule and the link to register. Donations to support the conference are graciously welcome. Listen to audio recordings from the 2016 Religion and Ecology Summit. The Interfaith Sustainable Food Collaborative organizes an annual conference designed for lay leaders and clergy active in food system programming to connect with each other as well as secular leaders of the sustainable agriculture movement. National, regional, and local leaders at the forefront of joining sustainable food programming with faith-based advocacy are featured at the conferences. Trinity Institute 2017: Water Justice conference will take place at Trinity Wall Street in New York City. St. John’s Lutheran Church in Sacramento plans to host a tape-delayed video of all the proceedings, to participate in the Sacramento viewing event please register by clicking here. The event begins at 7 p.m. on the 22rd, and runs from 9 a.m.-5 p.m. on the 23th and 24th. Water is a gift. Water is life. As water crises increase, access to safe and clean drinking water decreases. From Flint to Standing Rock, many of today’s most pressing social issues revolve around water. Faith communities worldwide can help. Be part of Trinity Institute 2017: Water Justice, a global conference held in New York City and webcast all over the world. With a sharp focus on the need for water justice initiatives in areas of access, droughts, pollution, rising tides, and flooding, Trinity Institute aims to offer actionable guidance for individuals, congregations, and the larger faith community surrounding these issues. This year we’ll hear from Barbara Boxer, Christiana Peppard, Winston Halapua, Thabo Makgoba, Katharine Hayhoe, Maude Barlow, David Toomey, Kim Stanley Robinson, and others. Trinity Institute’s annual conference is in its 46th year and equips clergy and laypeople for imaginative and catalytic leadership. Each year, Trinity Institute presents emerging and inclusive theological and social perspectives and engages participants in inquiry, dialogue, and reflection. The conference is sponsored by Trinity Church Wall Street, an Episcopal parish in Lower Manhattan. Recent Trinity Institutes have addressed racial justice (2016) and economic inequality (2015). Access to clean water is an essential human right, yet such access is increasingly compromised by droughts, pollution, rising tides, and flooding. These effects of climate change are most tangibly felt by the very people the Gospel urges us to look to—the marginalized and the vulnerable. This conference, infused with spiritual principles and common prayer along with science and solutions, allows us to deeply examine what connects us, and empowers us to take unified, faith-based action on the front lines of the water justice movement. Why attend Trinity Institute 2017? St. John’s Lutheran Church in Sacramento plans to host a tape-delayed video of all the proceedings, to participate in the Sacramento viewing event please register by clicking here. 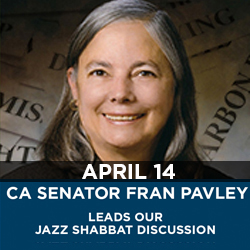 Senator Pavley's leadership on climate change is internationally recognized. She has authored precedent-setting legislation to restrict tailpipe emissions; and championed greenhouse gas emissions strategy in California. 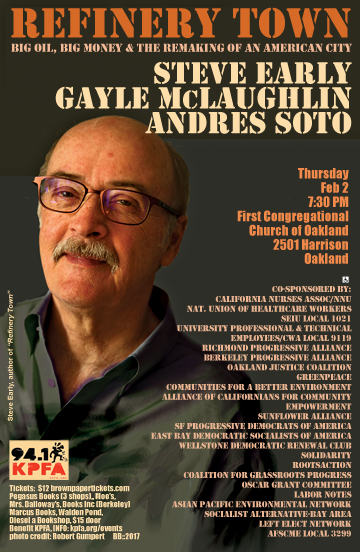 This great champion for environmental justice will share wisdom gleaned from decades of making politics work for the people. Reservations required for Dinner and Pavley presentation, email Julie@templeisaiah.com. For a full list of California Marches for Science click here. A CIPL Steering Committee member is helping to coordinate faith leaders and communities who wish to march in support of science and scientists. 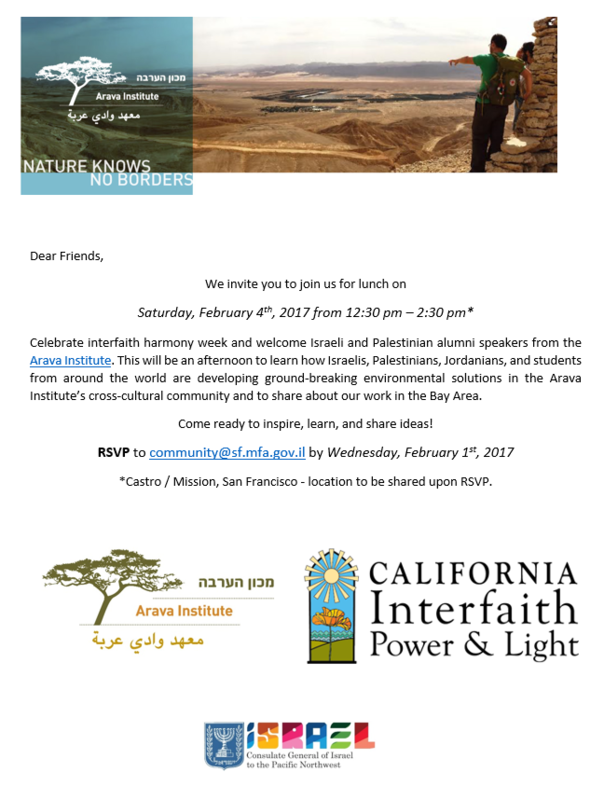 Please email info@interfaithpower.org if you would like to learn more. To find a sister march near you click here. 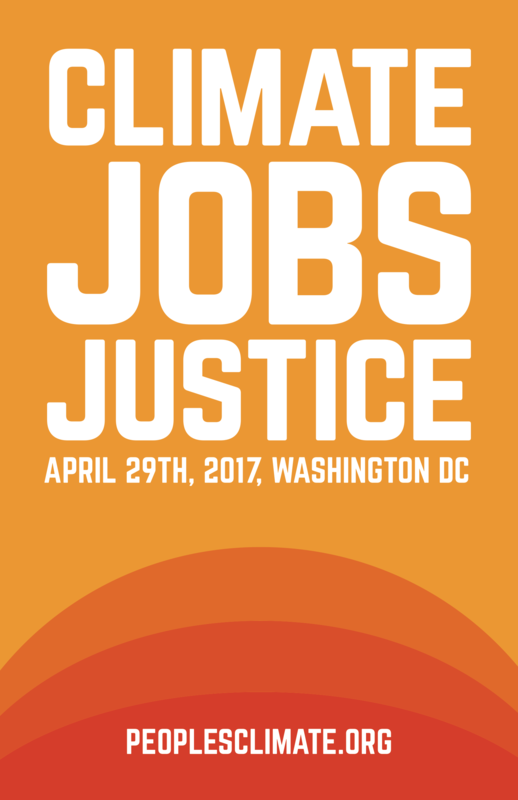 For more information on the Faith Contingent of the People's Climate March click here. Info on San Diego, Long Beach, Sacramento, Los Angeles info to come. This special EcoJustice concert features works by J.S. Bach, Aaron Copland, Arvo Pärt, Robert Schumann, and others. Proceeds benefit Haitian Sustainable Farming Initiative and Save The Bay. Performers include: Meena Bhasin, viola; Owen Dalby, violin; Jonathan Dimmock, organ; Robert Howard, cello; Angela Lee, cello; Tanya Tomkins, cello; Telegraph Quartet. An important update about the EcoJustice Day of Inspiration: The Friday program has been modified to better accommodate the needs of our diocese. The EcoJustice conversations at Grace Cathedral will now begin at 3 p.m., and all fees have been waived! If you have pre-paid, you will be receiving your refund shortly. The program will be followed by a 5 p.m. reception on the cathedral plaza and a 7 p.m. Eucharist service at Grace Cathedral with Presiding Bishop Michael Curry. *Both the EcoJustice Panel and the Eucharist will be live streamed on Facebook. Tune in on Friday to the DioCal Facebook page. Confirmands and attendees are encouraged to spend the afternoon taking action across the Bay Area to practice stewardship of the earth. Join us for a discussion on how the Fresno faith community, and its organizational colleagues, are meeting the environmental challenges of the region. This discussion will include a panel and ways to take part in active solutions. Marin CIPL supporters and other people of faith concerned about the climate crisis in our region are gathering to consider how together they may grow the interfaith climate movement, share resources and advocate for meaningful solutions locally. 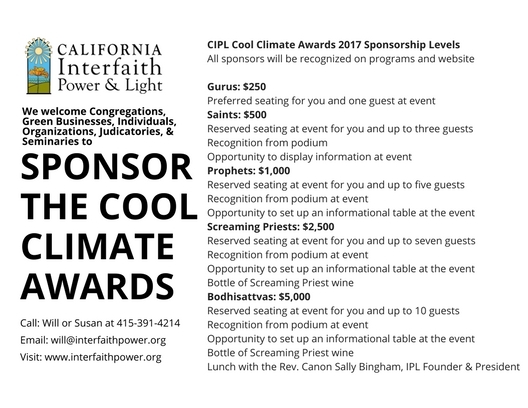 Please join the Marin Interfaith Collaborative on Climate Change for a conversation with CIPL Program Director, the Rev. Will Scott. The Geneva Room is accessed on the Mission St. side of the church by outdoor stairs to the second door upstairs. A Collaborative sign will be posted on the stairs. Click here for a flyer with more info. California faith communities from throughout the state gather in Sacramento in June and August to encourage our legislators to advance policies that honor our values of care for self, family, friends, neighbors and our common home. Supporting bills that will enhance investment in environmental education, green infrastructure, clean transit, forestry and renewable energy. Legislation that puts people to work supporting healthier, resilient and climate mindful communities. Email info@interfaithpower.org if you are interested in learning more or joining us in Sacramento in June or August. The Environmental Defense Fund is hosting a screening of the movie From the Ashes at 6:30pm on July 21st. From the Ashes explores the reality of the coal industry in America and it’s future under the Trump administration. The documentary offers a view of how we can help struggling communities that rely on coal while still fighting climate change at the same time. The Reverend Sally Bingham, President and Founder of The Regeneration Project and Interfaith Power & Light, will offer comments on her many years and successes on the frontlines of climate advocacy, and her leadership in elevating the importance of the “moral imperative” that links faith and the environment. Jay Kairam, Directory of EDF’s California Clean Energy campaign, will discuss some of EDF’s work under the new Administration, and after the screening there will be an opportunity to take action by writing letters in support of local California clean energy initiatives. Interested in attending? Please RSVP on eventbrite or to itsyourworldsf@gmail.com. This event is free of charge and open to the public. Wine and cheese will be served. Join us for an evening of interfaith networking, clothing swaps, and educational talks from people working in the environmental and faith communities. Please bring any clothes (any age, any season) in good condition to swap with others. Light refreshments provided. Speeches begin at 8. All faiths are welcome! Here's where you can find info about some of our priority legislation. 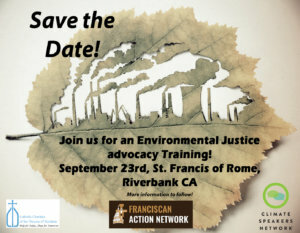 The Franciscan Action Network and Climate Reality Project, together with the Environmental Justice Program at Catholic Charities, will be holding an Environmental Justice Advocacy training, happening next month on September 23rd. On-site registration begins at 8:30 am, with the workshop starting at 9 am, then concluding at 2 pm. This workshop is open to everyone and anyone, and will have a faith-based flavor to it, as there will be a presentation on Pope Francis' encyclical, Laudato Si and Catholic Social Teaching, for example. 11:15 a.m. - 12:15 p.m. Westminster Presbyterian Church 240 Tiburon Blvd. Sunday September 24 – 11:15 to 12:15 p.m.
Are you concerned about the climate crisis? Wondering how you can help protect the earth for future generations? Join us for guest speakers Tamra Peters from Resilient Neighborhoods and Izzy Parnell-Wolfe of the Marin Sanity Service. While solar panels and electric cars are typically associated with upper-class white folk, the transition to clean energy is also a civil rights issue. Communities of color often live closest to factories and refineries that spew toxic pollution. That’s one reason why polls show more African Americans and Latinos say climate is a serious concern than non-Hispanic whites. Rev. Dr. Gerald Durley (a longtime IPL national board member) works with preachers and activists across the country advocating for a cleaner and more inclusive economy. 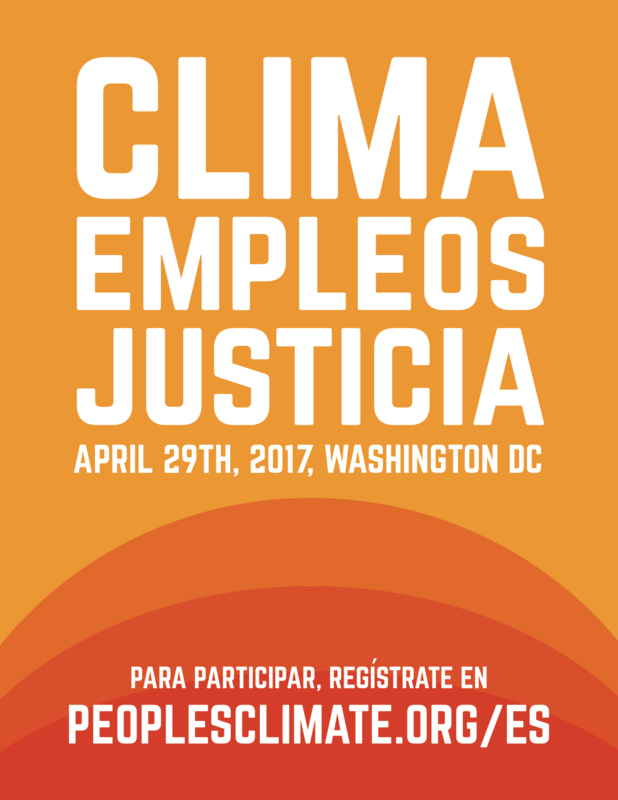 Join Climate One for a conversation about the climate and civil rights movements. Netiya's Second Annual Food and Faith Event will focus on land stewardship, and sustenance across ethnic, racial, faith, economic, and gender lines. There will be panels, roundtables, and "digestion tables" as well as ritual, earth-based kids programming, gongs, a soundbath, and a marketplace. CIPL staff member Allis Druffel will be a speaker. For more information and to RSVP, click here. Join speakers Rev. Sally Bingham, Dr Andrew Gunther, and Wei-Tai Kwok in this forum, which will look at climate change science, the moral imperative to act, and practical ways to strengthen action. Learn, engage, act! Each year California Interfaith Power & Light gathers to celebrate the work of congregations throughout the Golden State who are taking action to protect our common home. Our annual awards event honors communities of faith who are responding to climate change as a moral issue, by standing up to the fossil fuel industry and leading the transition to a climate healthy future. From installing solar and EV charging stations to planting trees and gardens, upgrading lights to speaking up for clean air, transit and energy California's many faith communities are becoming models of sustainability, resilience and climate justice. Raising prophetic voices and leading exemplary congregations. 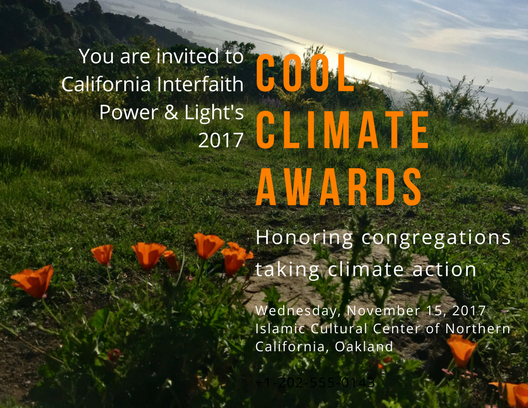 We hope you will join us on Wednesday, November 15, 2017, at the Islamic Cultural Center of Northern California as we cheer on one another along pathways to climate neutrality. Click here to sponsor the 2017 Cool Climate Awards. A sequel to The Inconvenient Truth, the follow-up documentary addresses the progress made to tackle the problem of climate change and Al Gore's global efforts to persuade governmental leaders to invest in renewable energy, culminating in the landmark signing of 2016's Paris Climate Agreement. The film will be followed by a discussion with local climate activists, including Russel Greene, Democratic National Committee Platform Committee Member and Advisory Board Member of The Climate Mobilization. To RSVP for the event, contact dhurewitzpitt@hotmail.com.